They represent 1 Level in your War Council. 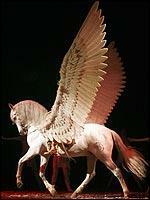 Pegasi can Fly as per the rules on this site. 1) Spend 1 lore to fly high. Remove the unit from the table. They are scouting the battlefield. Draw 1 extra command card at the end of your turn. You still get to keep only 1. Next turn your pegasus can land anywere on the board but it may be ordered. It does not count as ordered. 2) Spend 2 Lore to transport an adjacent friendly unit that did not move or battle this turn. Fly the Pegasus up to 4 hexes and place the transported unit adjacent to it. The transported unit nor the pegasus may fight this turn.